Update, February 26th, 2019: it is now possible for users to offer their own Mainland property for auction. See Mainland users can now auction their land and Creating Your Own Auctions. 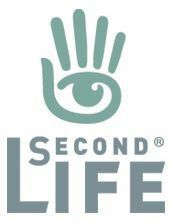 As promised in the Second Life roadmap blog post of March 2018, the land auction system has been revamped, and is now live – although only for Linden Lab held Mainland at this point in time. The announcement came via a blog post, A Face lift for Auctions, on Wednesday, July 11th. 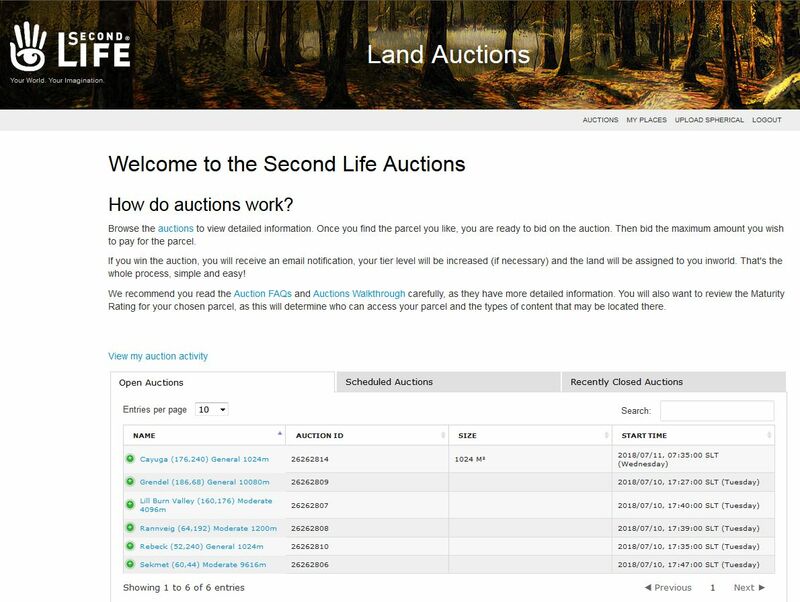 As per that announcement, the new auction system leverages Second Life Place Pages as the medium for presenting land up for auction and for placing bids, together with a new “cover page” listing available parcels up for auction. which can be found at https://places.secondlife.com/auctions. Currently, it is for Linden-held land only – Mainland parcel owners will be able to add their own parcels for auction soon. Auctions of group-owned land are not supported at present. When bidding, you must have the funds available in your account – under the new system, your maximum bid amount is immediately taken out of your account and held in escrow until you are outbid, or win the auction. Winning bidders will generally be notified within one hour of an auction closing. To help people get started with the new system, the Lab have produced an Auctions Walkthrough document, together with an Auctions FAQ – both of which should be read by those interested in place their parcels up for auction (when the system is open for people to do so) or who wish to bid on the parcels currently being auctioned. 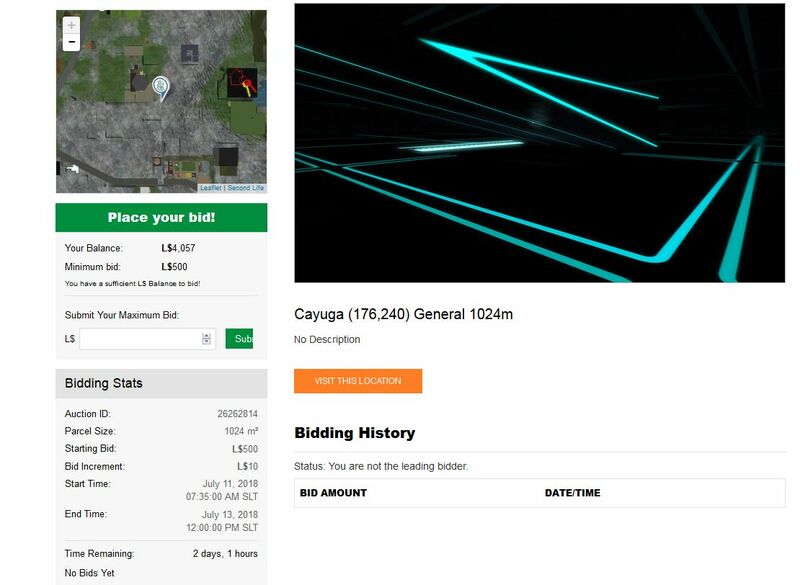 Those wishing to offer their own land for auction (when possible) and who are not familiar with using Second Life Place pages, may want to read through my Place Pages tutorial. I will be updating this tutorial to additionally include information on how to create your own parcel auctions in due course.